Even before their tax debacle I’ve never been a fan of Starbucks – bland coffee, relentless happiness and demanding my name before deigning to serve me have all driven me elsewhere. So what do you do if you’re at the centre of such a firestorm of criticism, particularly via social media? I’d recommend changing behaviour and reaching out to engage with people. Yet, instead the coffee giant decided to run a scheduled Twitter hashtag campaign #spreadthecheer. However, like McDonalds and Waitrose in the past, it failed to see how easily this could be hijacked and as I write #spreadthecheerPRFail is trending on Twitter. The more pleasant tweets push the merits of independent coffee shops, while the most aggressive demand that they ‘Pay your f*cking taxes’. And to make matters even worse the company installed an unmoderated Twitter wall at the Natural History Museum’s ice rink, leading to the automatic projection of abusive messages, allegedly through a malfunction of the profanity filter. 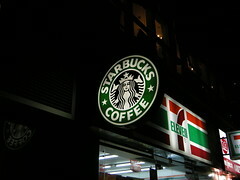 Starbucks has got its marketing, social media and ethical stance very, very wrong. And while it is facing a social media firestorm it has not helped its cause – in fact through #spreadthecheer and Howard Schultz’s blog it has soaked itself in petrol and handed matches to the mob. But Starbucks isn’t the only brand to completely underestimate that if pushed far enough people will complain – and with social media complaints can reach critical mass very quickly and turn into a comprehensive campaign against an organisation. This means it is time for brands (particularly ones that claim to be ethical and friendly) to re-adjust their marketing. The time of one way marketing to passive users is over. As my erstwhile colleagues Steve Earl and Stephen Waddington pointed out in their book Brand Anarchy, “Reputation is not just under siege, the ramparts have been utterly breached.” A chilling threat to some companies but also a wake up call to marketers and brands – now you need to listen, learn and engage with customers, not refuse to serve them if they won’t give you their name.